Yummo!!!!! This "stew" was absolutely delightful! So flavorful, light and just plain delicious! You know it's good when the kids eat the whole bowl, right?! And did I mention they added "Wow, Mom! This is good!"???? 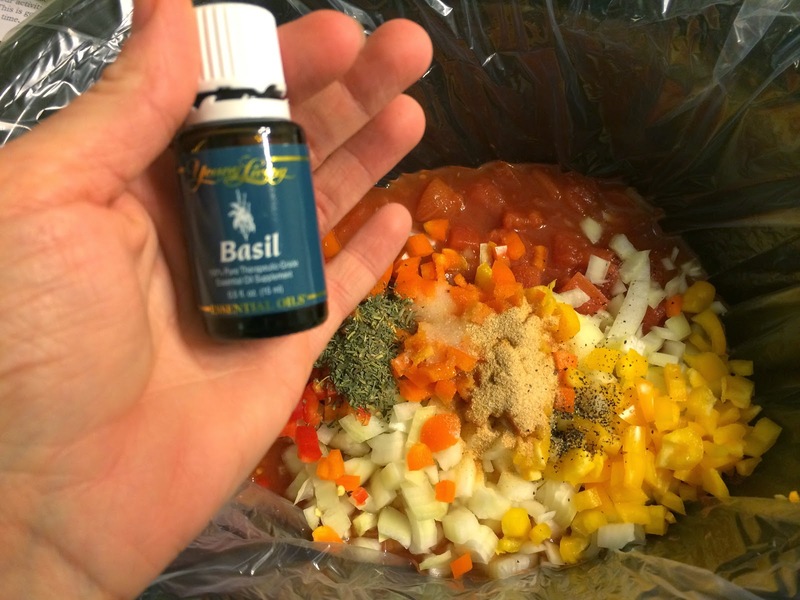 My "secret ingredient" in this "stew" is the Basil Essential Oil! WOW! It gives this soup and EXCELLENT pop of flavor! 2 drops! That's it! It was one of my freebies last month so I'm making good use of it! I'm in LOVE with my Essential Oils!!!! 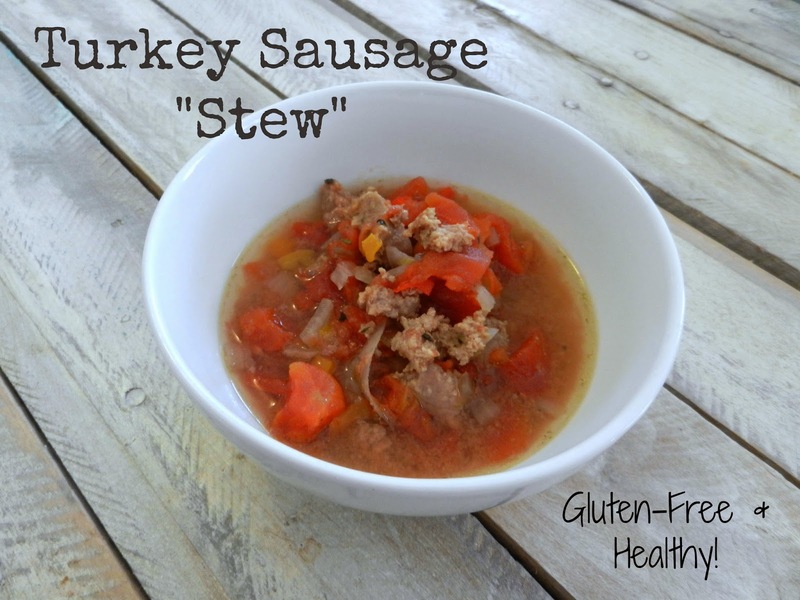 So, this "stew" is super easy to throw together, so there should be nothing holding you back from it! It's chock full of good-for-you things and it really doesn't take very long to put in your crock. So, get going, find that lean Italian sausage (LOL) and give your family a dinner they'll thank you for and you can feel good about! Pour the diced tomatoes into your crock. Add in the onions and sweet peppers. Next, add in the garlic powder, Italian seasoning, salt and pepper. Add in the Basil Oil. Cook on LOW for 6-7 hours of on HIGH for 3-3.5 hours. Sounds really delicious, thanks for sharing.